Pictures & images of landmark historic places & archaeological sites pictures collections from The Ancient World, Classical Ear, Medieval Era & Modern Era. Pictures & images of Prehistoric landmark historic places & archaeological sites pictures collections from the Stone Age & Neolithic Age. Pictures & images of Ancient World landmark historic places & archaeological sites pictures collections of Mesopotamian, Anatolian, Ancient Greek & Egyptian museum artefacts. Pictures & images of Classical World landmark historic places & archaeological sites pictures collections - Including The Ancient Greek, Persians, & Roman. Pictures & images of Medieval landmark historic places & archaeological sites from the Middle Ages, Romanesque & Gothic eras. 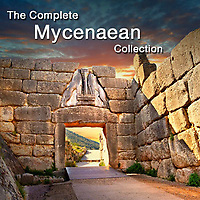 Pictures & images of the historic & archaeological site from Europe, the Middle East and North Africa. 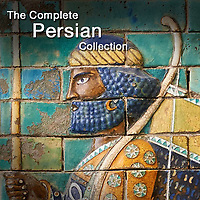 The photo galleries in these collections span the ages from 8000 BC to circa 1800 AD. Amongst the highlights of these picture collections are the biggest on line collections of Hittite artefacts and archaeological site, the biggest collection of Roman mosaic images on the web covering Roman mosaics fom the Near East, Europe and North Africa.